Choosing A-Lert means you partner with the best. We will guide you through each step in your building project, from site development and design to construction and manufacturing. We won't rest until your project is complete. 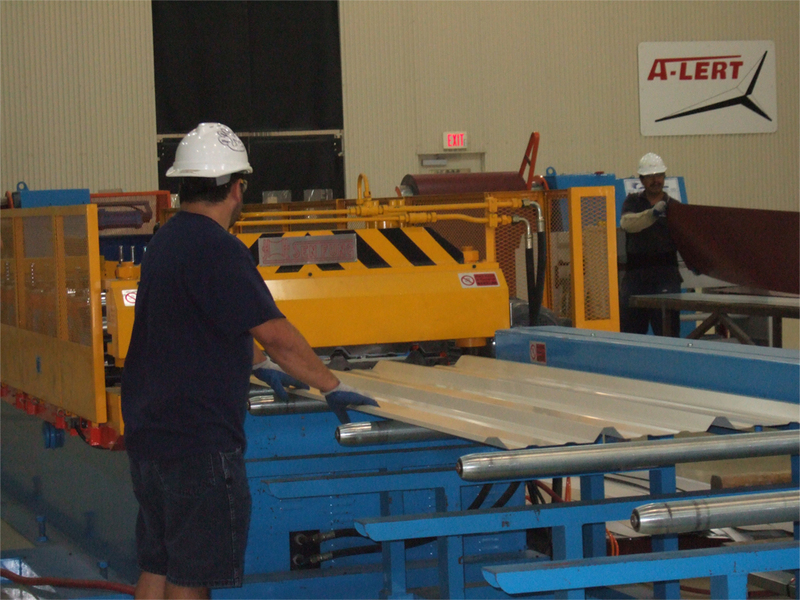 Components are manufactured in our own 40,000 square foot state-of-the-art plant in South Texas...stop by for a tour! Our manufacturing plant uses the latest technology and the best materials, and is operated by skilled machinists. With over 40 years of experience in the construction industry, and our extensive knowledge of self storage building, your questions will be answered by our experienced staff and will be solved. A-Lert offers one-stop shopping, with general contracting, structural design, engineering, manufacturing, and erection all sourced under one roof. Why call dozens of suppliers and subcontractors when you have access to a single source of industry leading expertise? Our in-house engineer is registered in an impressive 28 states, and our design team has over 3 decades of experience, collectively. • Our Engineering Department designs efficient, innovative and durable metal buildings. Each designer also has the practical experience to apply their extensive knowledge down to the last minute detail of each project.